It gives me immense pleasure to introduce our new Organization ‘EARTHOHOLICS’. We’ll be conducting awareness programs, workshops and will offer products and services which ensure that we save our planet earth…as ‘EARTH IS OUR ONLY HOME’.! 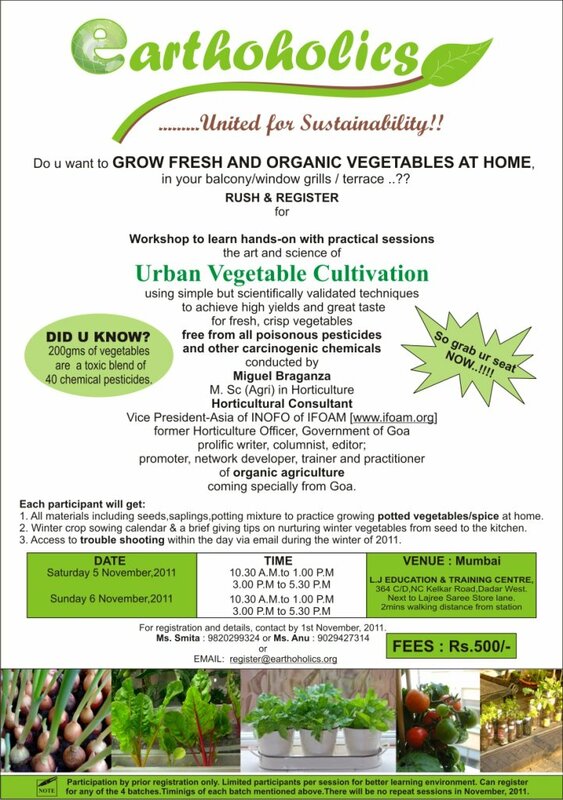 ->Urban agriculture for food security, healthy living & aiming to reduce our carbon footprints. ->Implementation programs to reduce our carbon footprints. WHY DO WE NEED TO GROW OUR OWN FOOD…??? KNOW WHERE UR FOOD COMES FROM ..?? The mind set of the urbanites, particularly the upper income groups who regard food security as simply being able to buy food from the market and regard farming as a loco status and less skilled activity, needs to undergo a change in order to recognize the importance of urban agriculture. Population is rapidly growing and the land available for cultivation is limited. Each year we have to multiply the production in the same land available, infact at times the land gets scarcer if farmers sell their land for other occupations. Significantly, we do not have the margin of loosing a bit in the pest attack; hence taking support of chemical protection seems imperative. As vegetables are perishable items we import only 0.05% of our total vegetable production. This implies moving towards intense cultivation to meet our future demands hence more pesticides use. This coupled with consumers choice for fresh and healthy looking vegetables, especially in the urban context, push up the unwanted and unethical use of chemicals like preservatives, colors, flavors etc. Thus from sowing of the crops till its final delivery to the consumers, vegetables are subject to multiple applications of toxic chemicals at various stages. In the end what the consumers get is daily doses of a cocktail of deadly chemicals, often in much higher quantities than the safe limits. Urban agriculture is a bold step towards reducing our carbon footprints as it does not require inputs like fossil fuels and chemical fertilizers. Thus, it aids healthy living for us and the planet. 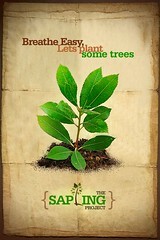 So, lets all unite for a sustainable tomorrow.! We announce our inaugural workshop on “GROWING ORGANIC FRUITS & VEGETABLES AT HOME” conducted by Miguel Braganza, Vice president –Asia of INOFO of IFOAM, specially coming from Goa on 5th and 6th November. Is there any such awareness programme conducted in Marathi?